The product itself was lovely. At first opening, you're met with this fairly bright yellow cream. 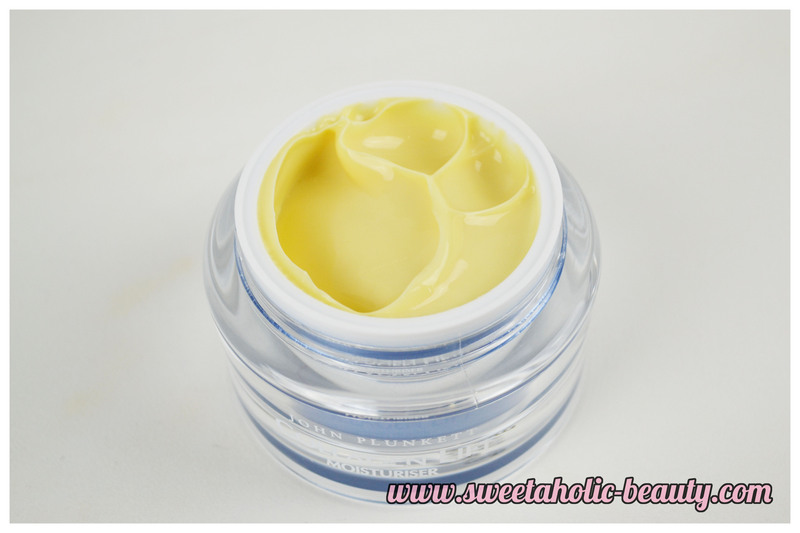 I was okay with this, as I've had good experiences with all yellow creams I've tried. This one had no scent, or at least a very neutral scent that I did not notice. It's consistency was fairly thick, so I decided to keep it as purely a night cream. It went on very smoothly, blended into the skin with no trouble and didn't leave any horrible residue. There was no stickiness or sliminess, so I was pretty impressed with that. After using it for a few weeks I noticed my skin was definitely feeling nice and firm. After using the entire tub, I have to say I'm impressed with the results. I'm not getting any younger (oh dear that makes me sound old) and with so much stress in my life at the moment, my skin was feeling pretty darn dull beforehand. Now, I feel like my skin has been revitalized. Even though I haven't repurchased as yet and I'm trying out other products, I still feel like it's left a lasting effect on my skin that's helped it stay firmer and younger feeling. 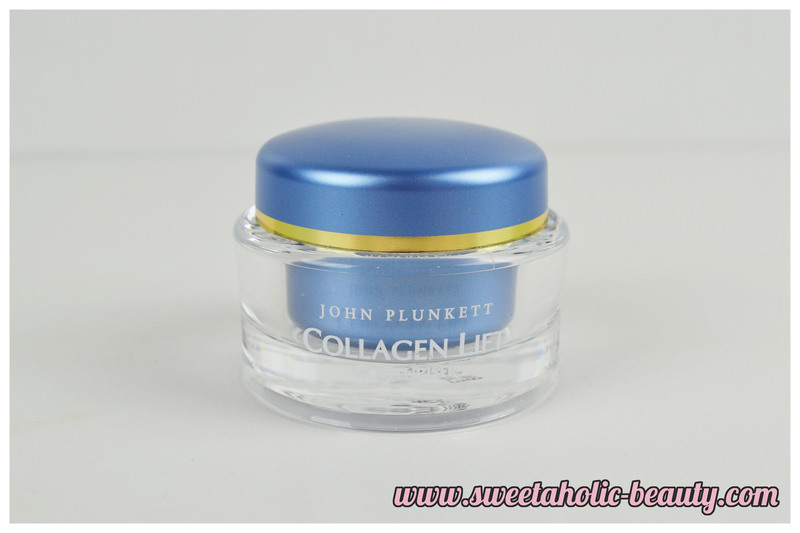 I would definitely recommend this to anyone who is in a bit of a skin rut. I'll more than likely be repurchasing this later on and go through another tub to keep my skin nice and refreshed! 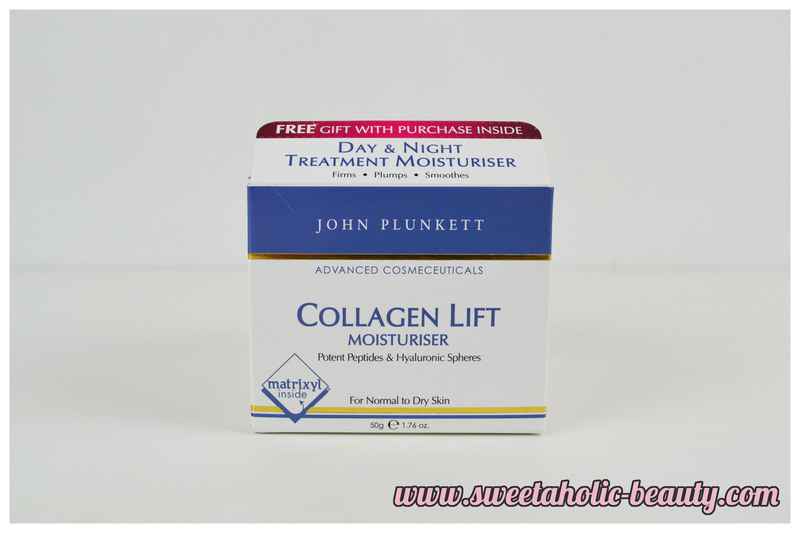 Have you tied the John Plunkett Collagen Lift Moisturiser? If so, what are your thoughts and experiences? Thanks for this review. I have a tub waiting to be used but I wasnt sure if Ishould try or not. I think I'll give it a shot now. Great post! looks great product. I want to try it too. While I fully appreciate your comment on my post, I do not appreciate the "follow for follow" like spam. I think it's a little bit rude to say "let me know once you've followed me, then I'll follow you." I only follow blogs for their content, content that I actually enjoy. I discover these blogs through social media, random searching or when people comment on my blog regularly, I check them out too. If you enjoy my blog, feel free to follow. You can comment on my posts if you want to, chat with me over social media if you want to, and perhaps I will check your blog out, and if I enjoy the content I will do the same. I don't follow just for the numbers, sorry.